Mohawk Music Association Officers for the 2010-2011 school year were elected at the June 1, 2010 meeting. You can connect with the Mohawk Music Association community on Facebook and Twitter. Find the latest news and get involved! Wednesday, April 25th, 6:30 pm, MMA meeting in the library at Mohawk. Wednesday, November 28th, MMA meeting, 6:30 in the library at Mohawk, all are welcome! Wednesday, February 14th, 6:30 pm, MMA meeting in the library at Mohawk. Wednesday, November 8th, 6:30 pm, MMA meeting in the library at Mohawk. PayPal securely processes donations for the Mohawk Music Association with your PayPal account or credit card. The Mohawk Music Association is a 501(c)3 non-profit organization. Your donation is tax deductible as allowed by law. Available at Music Department events. Make a donation and receive a tote bag. They measure 12" H x 16" W x 6" D and are 100% recyclable. The bags have stitched seams and reinforced handles. You are probably doing some of your online shopping at Amazon.com. You can support the Mohawk Music Association at the same time by starting your shopping at https://smile.amazon.com/ch/04-2575587. 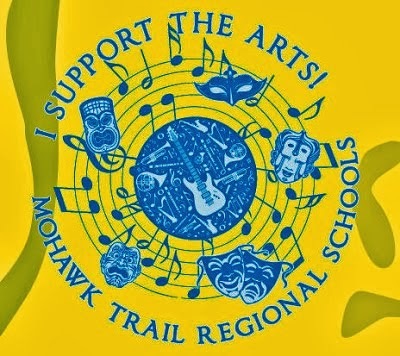 Amazon will donate 0.5% of the price of your eligible AmazonSmile purchases to Mohawk High Music Association (our official registered charitable organization name) whenever you shop on AmazonSmile. Please consider giving it a try. Same products, same prices, same service, but a small portion of the purchase price will be donated to the MMA. Copyright 2019 Mohawk Music Association. Simple theme. Powered by Blogger.